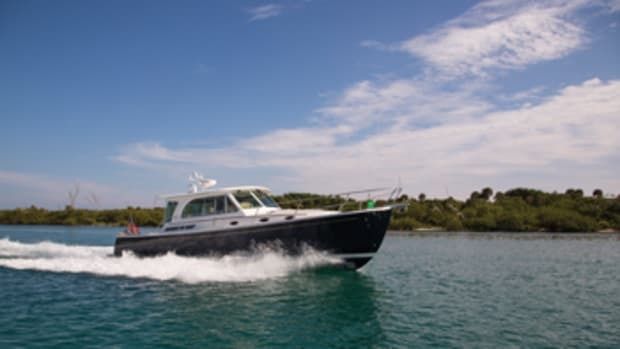 The Hatteras 41 Convertible Series II is the descendant of a legendary boat. For TJ Karbowski, it was all about the fishing—the camaraderie, the excitement of the chase, the joy of being on the water with a good boat under him. 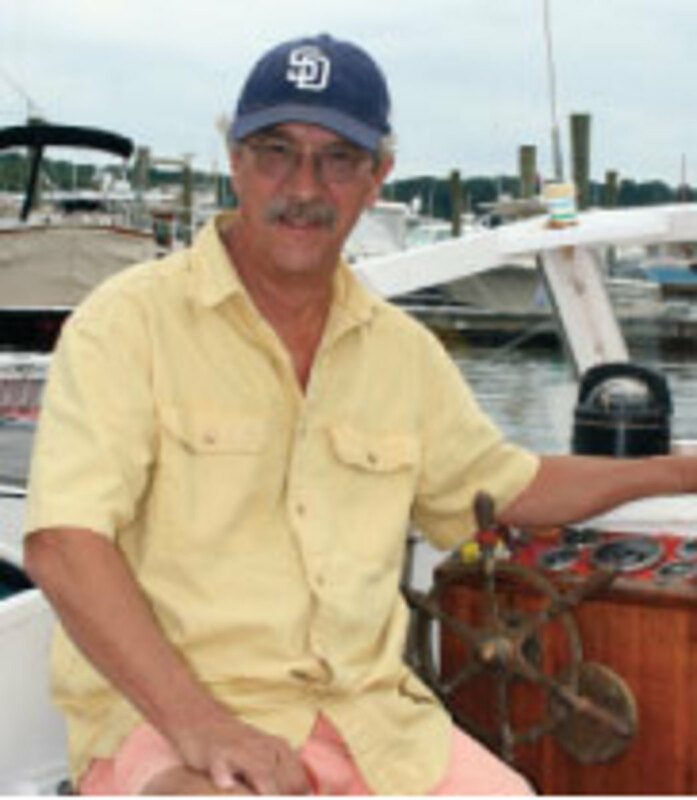 Whether it was bluefish and striped bass in and around Long Island Sound or running offshore at the Montauk shark tournaments, Karbowski had loved it all since he was a boy. Then he started thinking about fishing as a profession. 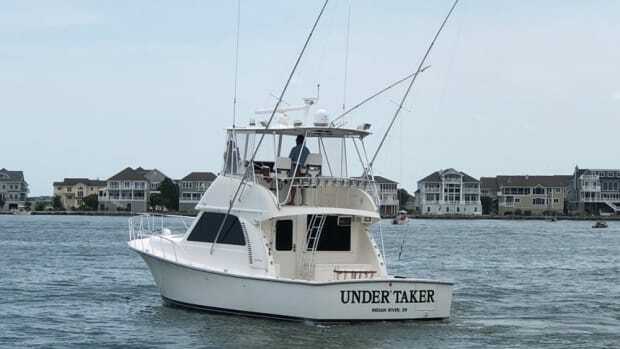 “I would see the charter boats in Montauk out shark fishing or coming back to the dock with stripers everyday, and I said to myself, ‘I gotta do this,’” he says. And he did. In 2003, Karbowski, now 41, from North Branford, Connecticut, started chartering part-time with a 35-foot Luhrs. 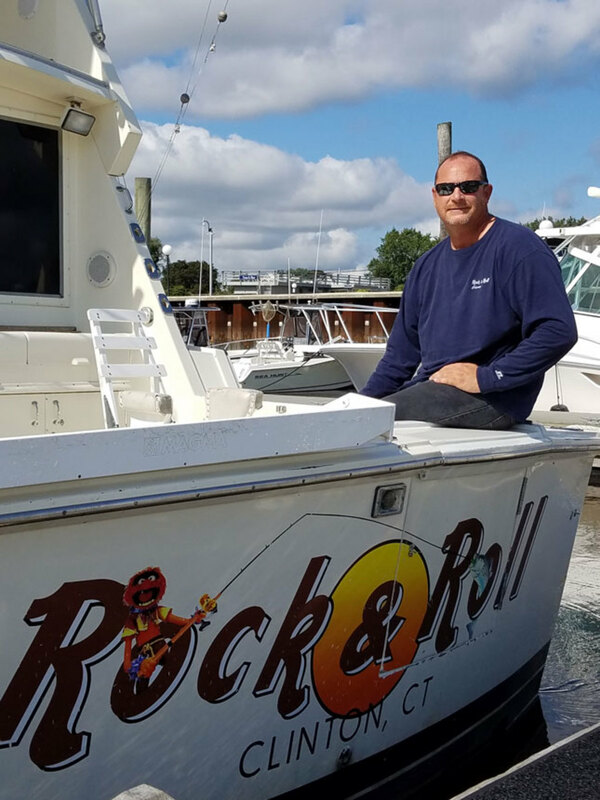 About three years later, he went full-time, opening Rock & Roll Charters in Clinton, Connecticut. He needed a heavier, bigger boat. “I looked at Viking, Bertram, Blackfins, Posts and Oceans,” he says. 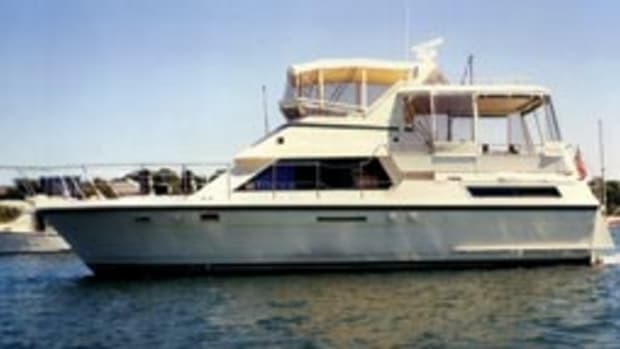 “Then, I got on a 1986 Hatteras 41 Convertible. I felt it in my gut right away. This is the boat. 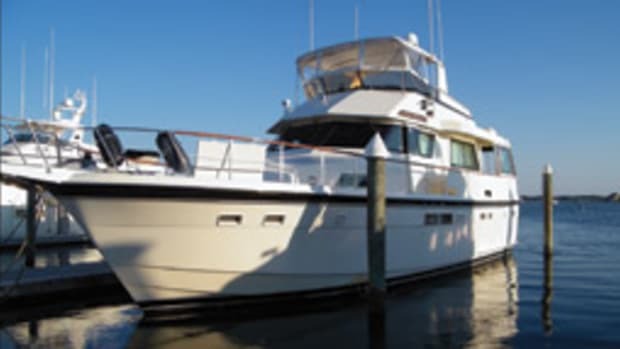 I knew it without hesitation.” Prices at the time ranged from $185,000 to $200,000, and Karbowski paid just under the average for the Series II model, an updated version of the original Hatteras 41 Convertible, one of the most influential designs in modern boating. TJ Karbowski chills in the cockpit of Rock & Roll. 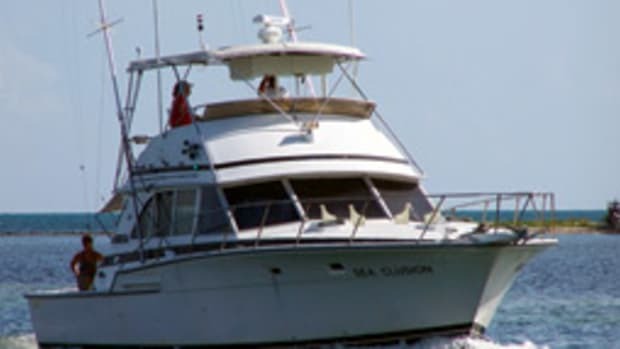 The Hatteras had several things that he wanted: a flybridge that permitted more room for guests; a cockpit comparable in size to those on some bigger sportfishing boats; a walk-through transom door; and an underwater exhaust system. The 20-year-old boat was in excellent condition, although it was dated, Karbowski says, “Like your grandmother’s house. Nice, but it needed redoing.” He gutted 90 percent of the boat and installed a new interior. The Hatteras has been working out for him ever since. 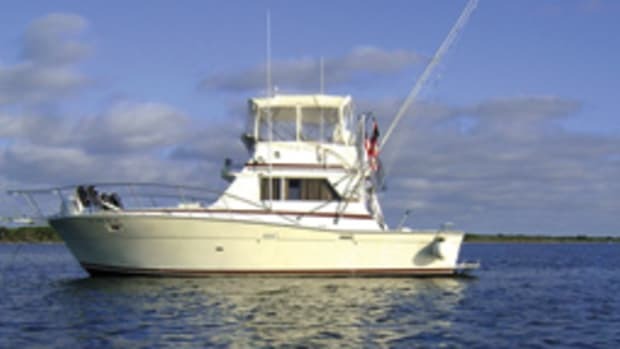 Knit Wits, a 41-foot sportfishing boat built in High Point, North Carolina, 200 miles from the ocean, debuted in 1960. She was the brainchild of Willis Slane, a Carolina angler. 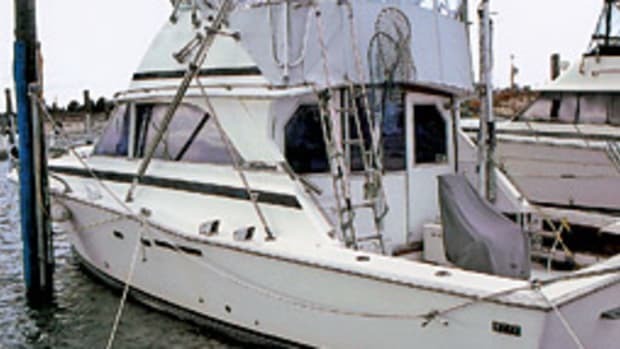 Designed by a young Jack Hargrave, the fiberglass boat revolutionized the sportfishing industry with her rugged performance and upscale amenities. 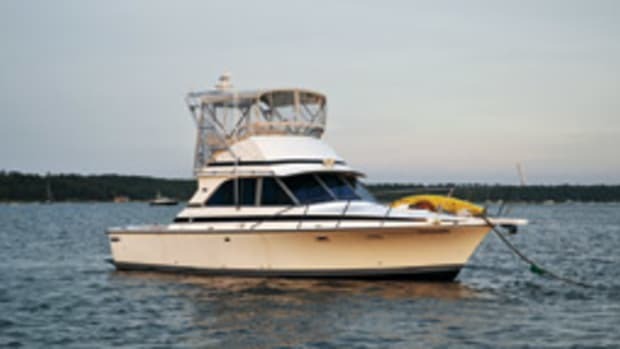 The Hatteras 41C Series II is an updated version of that legendary boat. 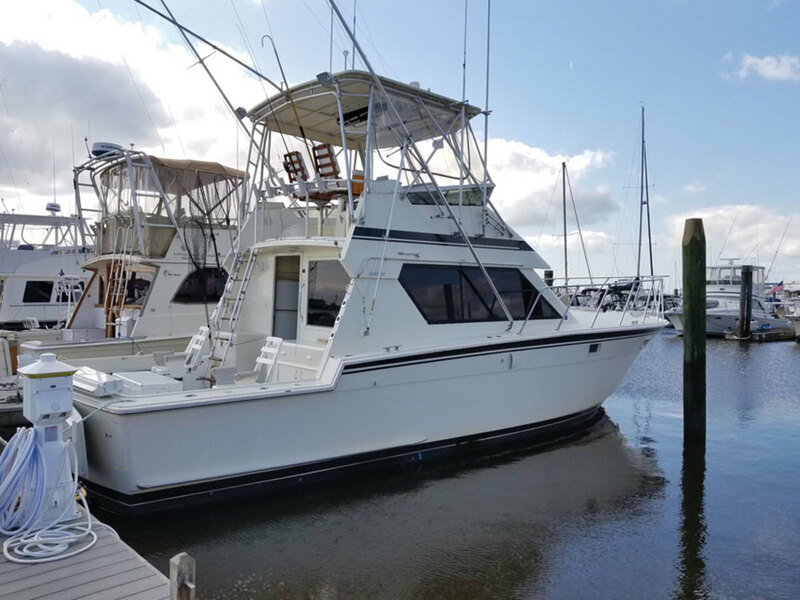 Bill Doherty has owned a number of fishing boats, but his Henriques 42 Flybridge is the fish boat of his dreams.